Tutti Designs: Congratulations on your Proposal. 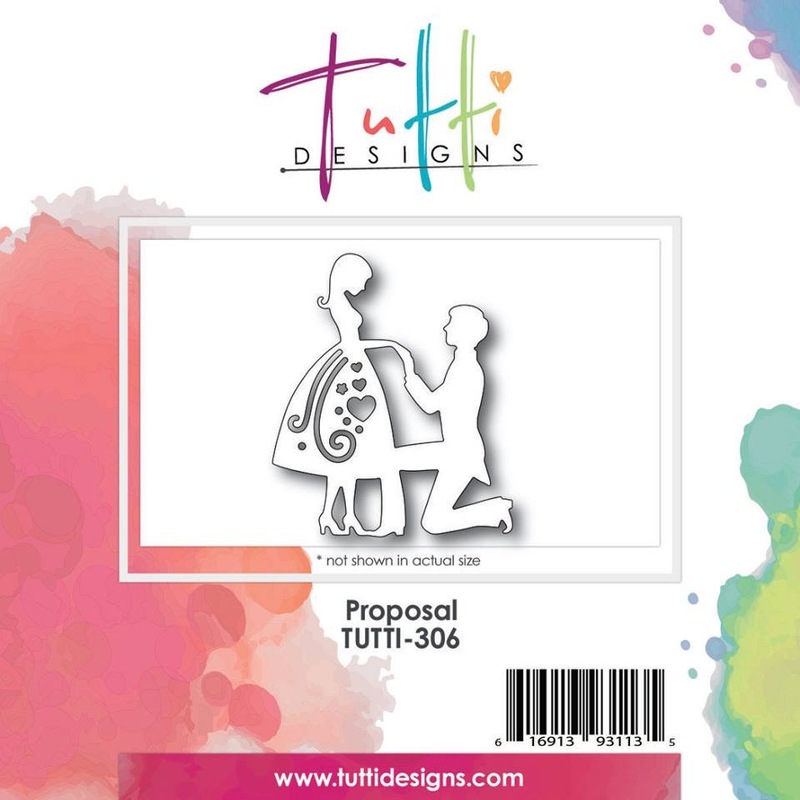 Today is from this months new release,Proposal, TUTTI-306. Cut the proposal from white and navy card.Cut the man from the navy card. 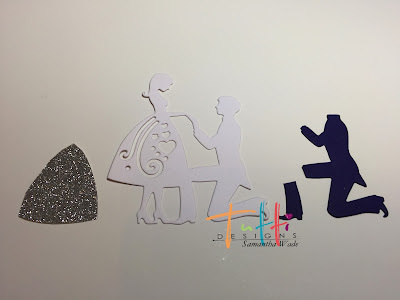 Draw around the skirt on silver glitter paper to back the skirt. Glue all parts together, colour shoes and hair.Keep the heart from the dress and colour red for later. 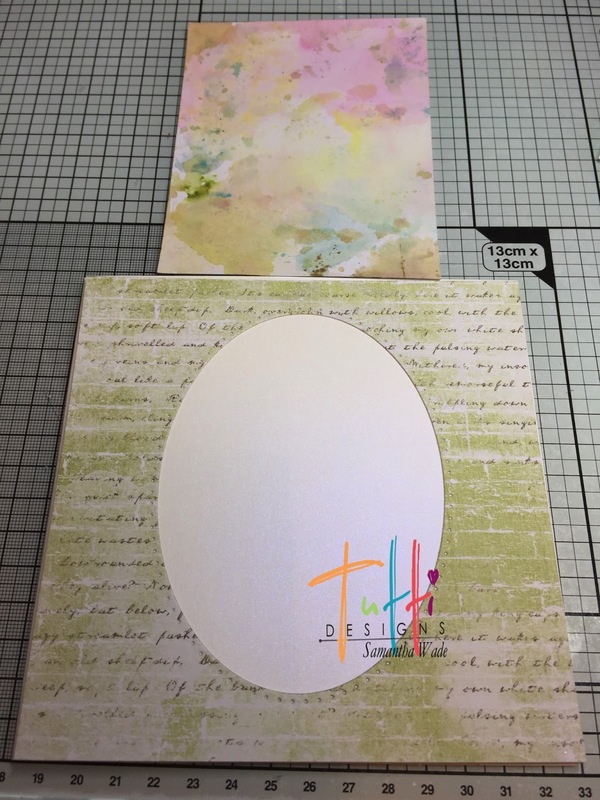 Made the background from distress inks and the decorative paper is from Anna Marie Designs, with an oval cut in the middle. 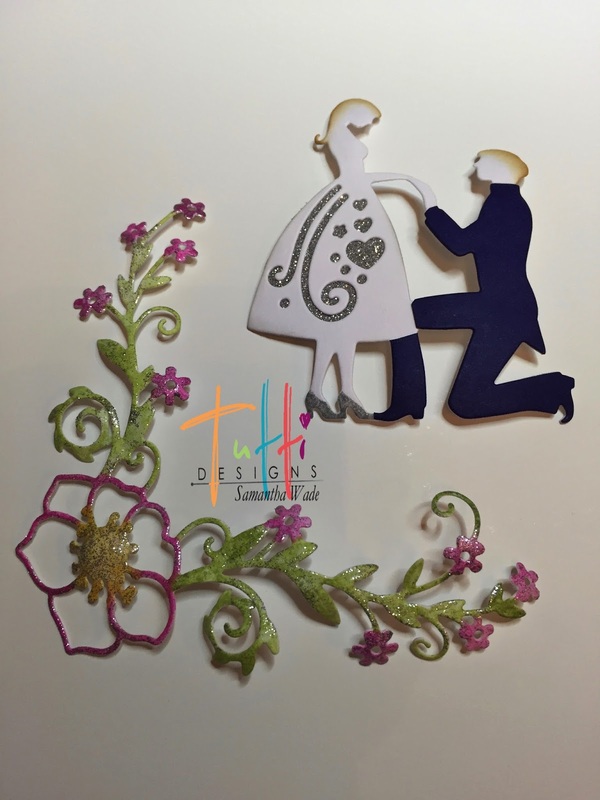 Layered them with 3D foam and added Congratulations and add the heart on the hands of the couple. 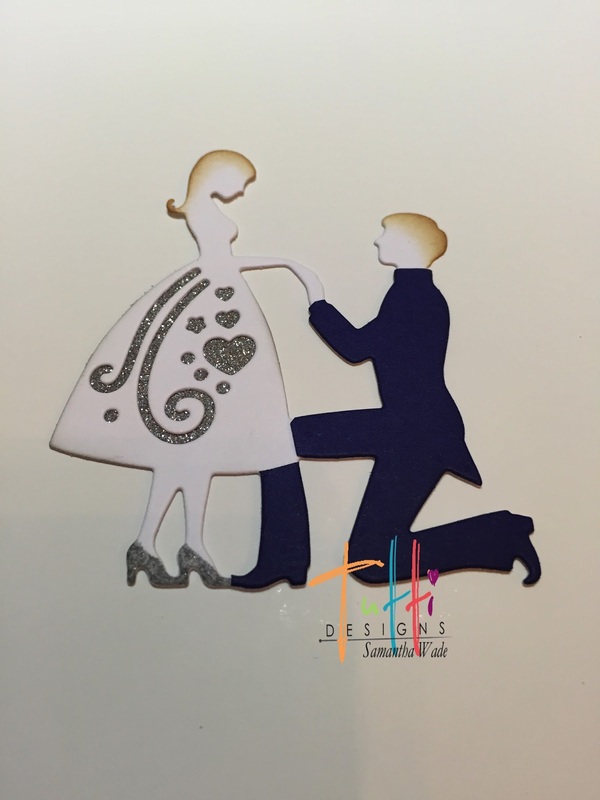 This die can be used for engagement or wedding, or even a prom. Its such a great die. Just beautiful Samantha! Love how you gave him a black suit and added sparkle to her dress ... great inspiration!